Juventus have failed in their attempts to gain readmission to Italy's Serie A.
Juve were relegated for their role in the match-fixing scandal that rocked Italy and were docked 30 points, which has since been reduced to 17. The club's appeal was held at the Italian Olympic Committee's arbitration court (CONI), but Italy's football federation refused to back down. 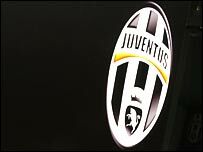 Juve, who were stripped of their last two titles, said it would consider its plans in a board meeting on Monday. They finished the 2005/06 campaign as "champions" but were soon embroiled in one of the biggest scandals to hit Italian football. Along with Lazio, Fiorentina and AC Milan, Juve were accused of attempting to exert influence over referees. Lazio and Fiorentina were also initially relegated before being re-instated to Serie A with points deductions of 19 and 11 respectively and have, like Juve, been banned from European competition. AC Milan start the new campaign in the top flight with an eight-point penalty, while Reggina have since been implicated and docked 15 points. Juventus chairman Giovanni Cobilli Gigli had said the Turin club expected the same punishment as the other clubs. CONI's conciliation court brought together Juve directors and the Italian Football Federation to seek an agreement regarding the club's appeal, but a Juve statement said the meeting had "not resulted in any conciliation". "We will examine all of our options calmly, convinced as we are, in our search for a more fair punishment," said Cobolli Gigli. He added they could potentially take the case to another Olympic Committee department or go outside sports justice to a civil court or even to the European Court of Justice. Their demotion to Serie B has led to a number of their top players leaving and their fourth-quarter revenues slumped by almost £15.7m to £27.5m. The other three clubs and several individuals who were punished by the tribunal are also taking their cases to CONI in the coming weeks.